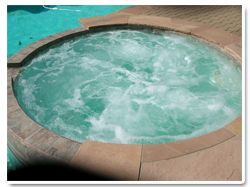 is a fully licensed and insured pool service and repair company servicing both residential and commercial pools thoughout the San Fernando Valley, Conejo Valley, Malibu and parts of the Westside. We understand the unique aspects of Salt Water Chlorination as well as providing service on everything from basic pools to high end trophy pools. 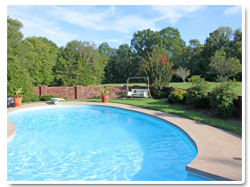 We work with all types of pool systems and can provide you with high quality and reliable pool service at a reasonable price! Contact us today for a free, no obligation quote. For a limited time, you may qualify for up to a $500 rebate from your electric company for installing an energy saving pump! 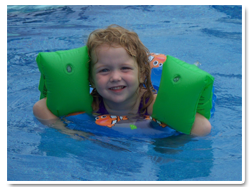 We repair all types of pool equipment including, pumps, filter, heaters, salt systems and remote systems. Does your pool look like something out of a horror movie? WE CAN HELP! Learn how you can save 70-90% on your pools electric bill! Fact is an average pool pump costs about $1200-$1400 per year to run, with the new energy saving pump, you can reduce that amount by as much as 90%! Call for details! Independent Pool And Spa Service Association, Inc.